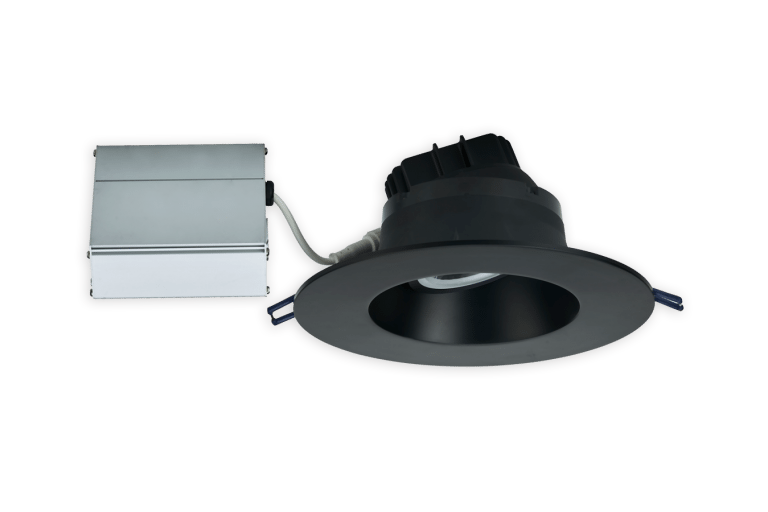 3 1/2″ Thick – Install Where Ceiling Space Is Limited. Round 6″ Regressed Gimbal fixtures with integral LEDs. Class 2 Isolated external driver factory installed inside junction box.